Pre-event planning: Electronics giant Philips asked its retained events agency, TFI Group, to arrange its annual buyer event, where dealers and buyers from across the world visit a large-scale exhibition of the company's latest products. This year, 74 groups from across the world were due to attend and the agency decided on Barcelona as a destination because it had good flight access. "We selected Hesperia Tower because it is close to the international airport and has excellent exhibition facilities," says TFI Group's divisional director, Penny Jekyll. Eight UK groups, totalling 154 delegates, attended the event over a three-month period, ranging from six to 59 people staying for between two and three days. 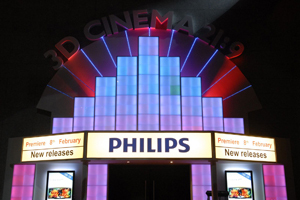 Objectives: The main aim was to excite and educate dealers and buyers about Philips' new products. Delegates were given the opportunity to ask questions about them, as well as meeting other dealers and Philips staff at dinners in the evening. Challenges: Jekyll says the main challenge was that UK delegates were very late in confirming whether they would attend. This meant the agency had to secure flights at the last minute. Also, there were no group flights because delegates were coming from all over the UK, so each had to be arranged individually. The sheer scale of the event was also a challenge, particularly coordinating different international groups attending the event, and visiting the product rooms at the same time. Solution: The UK delegates were greeted at the airport and transferred to their rooms at the Hesperia Tower. 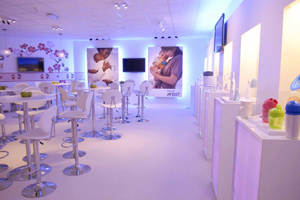 The product exhibition took up 23 rooms in the hotel, so TFI had to devise rotational schedules to make sure delegates got to see all the products and meet the Philips team. Breakfast and lunch were provided at the hotel. In the evenings, Philips divided delegates into smaller groups to take out for dinner, with buyers of similar products grouped together. The events team had to find a variety of venues that could be used for small and large groups as well as formal and casual dinners. This meant TFI had to organise a range of evening meals at venues including Torre d'Alta Mar, which offers a stunning view of the city from a 75m-high cable-car tower, Restaurant Barceloneta and the atmospheric El Pintor, a former painter's workshop. Client verdict: The client was pleased with the event. Philips' sales and operations assistant Christina Leung says: "The TFI Group has been fantastic and it's been a pleasure working with them. The feedback that I've had from everyone who has been out to Barcelona was that it was all run perfectly." Post-event analysis: Delegates were sent emails asking for feedback as soon as they left the hotel. The survey was mainly business-related, but 98 per cent answered 'yes' to the question, "Would you attend next year?"